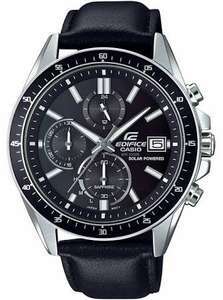 Casio edifice Black leather Sapphire Mens Watch £79.99 TK MAxx instore. Catherine Deane Wedding Dresses - prices from £480.99 at TK Maxx. Not cheap but great reductions for anyone getting married and wanting a lovely dress. Thanks for sharing @bdfor , they have some beautiful dresses! Is this Jimmy Seville’s Brand? 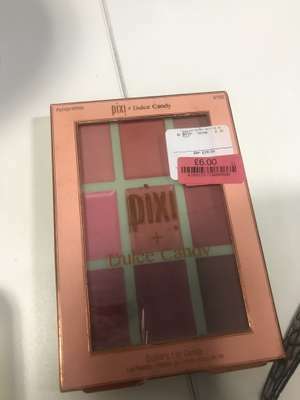 I don't know, is that just my experience, or my imagination, bought few times cosmetics in TK max, and usually lt looks, smells like out of date product. Especially read tickets ones! Is that only me with that opinion? Got the illamasqua lipliner for £1.10 & stila one for 70p. I think his point is that a watch is for telling the time and this movement is available for about £50 in another case.If you go onto the Chinese watch wholesalers site you will find any designer watch with labels you want for around £5 provided you buy a large quantity. £150 for deisel jeans! Made of denim! Asda do them for £5! Your point? I'll stick with my lynx africa thanks. Already listed somewhere here I think. A few of these available at lakeside. Not all that imho. you will be surprised. I tried getting a different one for my daughters birthday and they wanted 180 for that one. I'm pretty sure they didn't cost this much when I was growing up! Sapphire is scratch proof and you will need something really tough (like more sapphire or a diamond) to scratch it. I have an edifice and after about 2 weeks the glass became super scratched to the point where it was hard to read the numbers beneath. I think mine has "mineral glass" not sapphire. Will the sapphire be a lot better? Agreed, haven't put on a normal watch since. It basically is a normal watch with AOD and ticks, with 4G and a phone built in. Charging isnt really an issue with the wireless charging stand you get with the galaxy watch. I know where my watch is every day so never misplace it. Can choose a different watch face for every day of the month. Can pay for things. I doubt I'll buy another normal watch again. Waiting for mine to arrive. I’ve seen a similar model from one of the recent deals and that one looks really good up close. looks - decent. is it? Did they have any Sergio Georgini’s? It's the Eau My Gold which smells horrible compared to the original which is why it's always cheaper. Deal expired anyway. Bought the last one, sorry everyone!! Lovely pair of stylish whiskey glasses This set comes with two sophisticated whiskey on the rocks tumblers, each with a thick base and offering brilliant clarity. I like my whisky with coke....now I wait. TK Maxx burst onto the UK’s retail scene in the 1990s with an innovative business model. Their idea was to buy last year’s surplus stock from well-known designers and sell them in large retail spaces, allowing customers to dive into huge collections of shirts, trousers, dresses and accessories. A relative latecomer to online selling, TK Maxx now has a comprehensive online store at www.tkmaxx.com, which is a great place to snap up fashion bargains. With more than 280 locations in the UK, there should be somewhere convenient to shop near you. The easiest way to find your local outlet is by heading to the TK Maxx website and using their handy store finder tool. Clothing – Dresses, jeans, cardigans, jumpers, swimwear, coats, jackets, tops, pyjamas, nightwear, outdoor clothing, sportswear, trousers & skirts, and a special section devoted to plus-sized fashion. Accessories – Featuring handbags, pouches, clutch bags, purses, belts, sunglasses, jewellery, prescription glasses frames, luggage, hats and scarves. Shoes – Includes heels, flats, sandals, boots, trainers and beach footwear. Activewear – Trainers, golf clothing, sports bras, leggings, swimsuits, tech accessories. Beauty – includes cosmetics and skincare, haircare, body & bath, fragrances and perfumes. Clothing – Jackets, trousers, suits, smart & casual shirts, jumpers, sweaters, coats, vests, shorts, jeans, swimwear, blazers, polo shirts, hoodies and knitwear. Accessories – Underwear, socks, loungewear, belts, wallets, bags, watches, cufflinks, sunglasses, frames, wearable tech and luggage. Shoes – Includes formal and casual shoes, boots, trainers and clearance items. Activewear – Includes men’s waterproof jackets, gilet jackets, polo shirts, golf clothing, walking shoes/boots and sports vests. Tech Shop – Features torches, security kits, wearables, earphones, iPhone cases, bicycle repair tools, lights, heart rate monitors and brushes. Kids & Toys – Includes separate sections for baby girls, baby boys, younger boys and younger girls, as well as unisex baby items, nursery items, fancy dress costumes and toys. Home – Features items for specific rooms of the house, with sections for bedrooms, bathrooms, kitchens, dining rooms and items for the garden. Also includes a useful wedding gifts section. Gifts – Includes suggestions about gifts for him, her, and kids, as well as homeware and gifts for special occasions. To find special offers on branded goods, check out the Gold Label Collection links on each product category. This is where TK Maxx showcases its most prestigious items, always at big discounts. Buying items from TK Maxx online is simple. Just click on your items, select a size and colour, and proceed to the checkout. You can choose whether to checkout as a guest or to join the TK Maxx membership scheme. Joining allows you to manage your orders more easily and provides access to special deals, so it makes sense for regular TK Maxx customers. Members also receive a regular newsletter, providing information about upcoming sales. As a major discount retailer, every day is a sale at TK Maxx, but the company also finds excuses to lower its prices even further. One way it does so is via Flash Sales. These very short term deals are for specific product lines, and deliver big savings. You can find out about the latest flash sales on a dedicated page at their online shop. 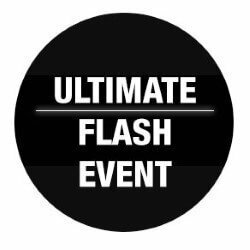 However, flash events are only for TK Maxx members, so be sure to sign up before. Everyone can visit the Clearance section to find out which items are most heavily discounted. You can filter sale items if you want to limit your search to men’s, women’s, kids or home items. TK Maxx also offers huge discounts around the Black Friday retail event. Expect big crowds at the firm’s UK stores in late November, or snap up deals online by checking out the TK Maxx Black Friday pages. We also make a list of all of the retailer’s best deals to help you find the biggest reductions at this shopping event. Shoppers at tkmaxx.com can use the following payment methods: MasterCard, American Express, Visa, Solo, Visa Electron, Switch, Delta and Maestro as well as e-vouchers. TK Maxx have partnered with security firm Venda to protect all transactions from cyber-fraud, and use Verified by Visa and MasterCard SecureCode to check every transaction as well. Standard delivery will arrive within 3-4 working days (if your order is placed by 17:00 on a working day). It costs £3.99 per order, but is free with orders above £50. Next day delivery ensures that your items will be with you the next working day, and costs £5.99. A signature will be required for all next-day deliveries (not for standard deliveries). Order tracking is available for both delivery options. For next day delivery, tracking is provided by DPD and you should receive a link to their tracking facility in your order confirmation. Alternatively, you can choose to Click & Collect any items at a cost of £1.99 each (free on orders above £30). Your order will be ready for collection within 2 working days and you will receive an SMS message informing you when your items are ready. To make a return by post, complete the returns form included with your original package. Your name, billing address and telephone number. The email address used to register with TK Maxx. A description of the product and the fault using the following codes: Faulty, Incorrect, Arrived too late, Unwanted gift, Unsuitable, Doesn't fit, Other. TK Maxx will not cover the cost of returning your items. Proof of postage is recommended should anything go wrong during transit. It may be easier to return your item(s) to a TK Maxx store. If you take this route, find your despatch note and proof of purchase and take them with your item(s) to the nearest TK Maxx store. The Staff will either refund the cost to the card used to purchase the products, or issue you with a gift card to the same amount. The company also produces a regular newsletter for registered users, which is an even better way to find out about the latest deals. If you’d like to speak to a TK Maxx customer care team member, reaching them is easy. You can give them a call on 01923 473561 (Monday to Friday 9:00-18:00 and Saturday 9:00-17:00). Alternatively, you can reach them via email at customerservice@tjxeurope.com. For most customer queries, the firm’s FAQ section should be sufficient, with plenty of answers regarding payments, deliveries, gift cards and returns. TK Maxx makes shopping for designer fashion cheap and simple, with clothing from huge global names at massive discounts and regular sales. Find out about the latest flash events, seasonal sales and discount codes by checking the regularly updated listings at the TK Maxx HotUKDeals pages.